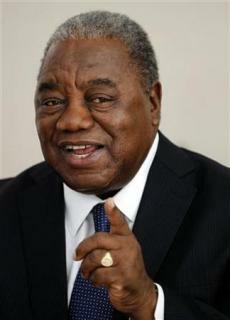 President Rupiah Banda says he can’t announce date of elections because the voters register is not ready. President Banda said announcing the date of elections is not done in a vacuum but in consultation with all key stakeholders, especially the Electoral Commission of Zambia (ECZ), which is mandated to run elections in the country. He said the ECZ has not yet compiled the final Voter Register following the verification exercise which ended on 12th June, 2011. All mistakes identified will have to be corrected. The President said Zambians, especially politicians, should exercise patience and allow the ECZ and other institutions involved in organising the elections to carry out their duties without undue pressure. He said Zambia had always held elections on time whenever they are due and 2011 will not be an exceptional. On the calls to dissolve Parliament, President Banda said he will only do so at the right time. He said the Constitution of Zambia, which he swore to uphold when he was elected President, is very clear on the dissolution of Parliament and he will not depart from the constitutional provisions. President Banda said his focus, together with his Government, is to continue providing development and ensuring peace in the nation as the country awaits the General Elections. He appealed to Zambians to remain peaceful, concentrate on their daily activities and give ECZ room to prepare for the elections which will be held in a fair and transparent manner.